One of my favourite beauty brands of all time has to be Clarins. I’ve used their skincare for more years than I care to remember and I’ve certainly developed some holy grail products over the years. Like their Foot Beauty Treatment Cream; have you tried it? If not then you seriously need to. When Ocean credit cards challenged me to drop everything and splash out on some new products to beautify myself with, there was only one counter that I was heading for; I’m sure you can guess which one! There was two products that I had my eye on and one repurchase that I knew I wouldn’t be walking away from the counter without; that was the Clarins Instant Eye Make-Up Remover which is a long standing favourite of mine. I’ve recently been using the Garnier Express 2 in 1 Eye Makeup Remover and while it is a cheaper alternative, it is by no means as good as the Clarins one. The Clarins Instant Eye Make-Up Remover breaks down makeup effortlessly. Simply shake the bottle, soak a amount onto a cotton pad and hold it over your eye and swipe. There’s no rubbing needed which makes it very gentle on the eyes. I’ve been using this for ages and wouldn’t be without it now as nothing else that I’ve tried compares to it. 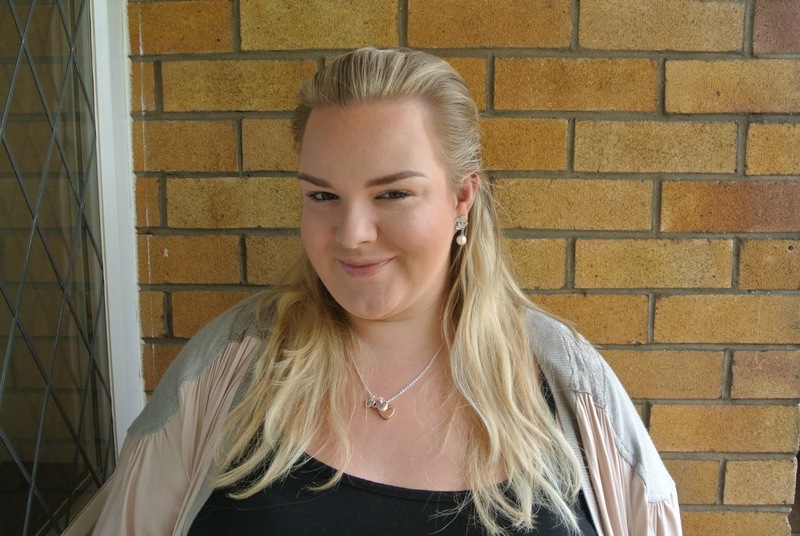 When I go on nights out, I like to wear heavy makeup with lots of liner, waterproof makeup and false lashes. Usually the more long lasting makeup products are harder to remove and Duo lash adhesive in particular can be a bit of a pain to get off but this eye makeup remover does the trick. They do have a Gentle Eye Makeup Remover too but in all honesty, I would just go for the Instant, bi phase variety as its also incredibly gentle, doesn’t sting or irritate the eyes and it works in seconds! At the start of a new season, I like to head to Clarins for a Skin Analysis to make sure that I’m using the products that are right for my skin at that time and to try out any newbies that have been added to the line. When I visited the counter back in the summer, I took away a sample pot of the Clarins Ever Matte Foundation with SPF 15. I will never buy a foundation blind and will always request a sample pot to try at home before purchasing to see how it works with my oily skin and the other products that I use. Ever Matte works really well for me because it looks so natural on my skin and it lasts all day long without needing to touch up. I find that it doesn’t actually sit very well on top of a lot of my primers and instead, it works best when applied straight onto my skin. This is my no means a disadvantage as if I can use less products, I’m happy! I’ll be doing a full review of this foundation in due course as I’m SO impressed with it. I’m equally as impressed by the Clarins Instant Light Lip Comfort Oil which comes in three different colours and flavours. I picked Red Berry which was the latest one to hit the counter. I cannot rave about this lightly tinted lip product enough. It is a lip treatment that sits somewhere between a lip gloss and an oil. The formula is rich in plant-based active ingredients to nourish the lips. It doesn’t feel oily in the slightest, nor does it feel sticky. It almost melts onto the lips and leaves them with this incredible high gloss finish that makes the lips look full and juicy. Comfortable to wear throughout the day, it is perfect worn alone or over the top of a lipstick. This is definitely my favourite go-to lip product whether I’m wearing a full face of makeup or going for a barely there look. I’ll definitely want to pick up the other two shades! When shopping at Clarins, I always look out for their gift with purchase special offers. They seem to be on gift quite regularly and you can always pick up some great deals when you buy two or more products. When I bought these three, I received a cosmetic bag with four deluxe size samples inside including a moisturiser, gentle exfoliator, body cream and one of the gorgeous Clarins Instant Light Lip Perfecters which are ideal for when you’re looking for something to lightly nourish your lips like a balm while adding a light colour and gloss. I’d really recommend trying to purchase your Clarins products when they’re on gift as the sample sizes that you receive are PERFECT for travelling. I always save mine up and use them when I go on holiday. I’m travelling to Dubai soon and the majority of what I’m taking with me is Clarins! If you’re in the North East then I’d really recommend going to see Nikita at the Clarins counter in Fenwick, Newcastle (book in on 0191 230 5033). She really knows her stuff and is my go-to girl for all things Clarins. Her colour matches and product recommendations are always bang on and she’s happy to let you try out samples and products on counter before purchasing to make sure that you’re 100% happy with what you’re buying; she isn’t pushy at all. I really trust her opinion and even changed the Clarins counter that I shop at purely because she moved stores! Regardless of where you shop, everyone needs a treat from time to time. I’d love to know what beauty bits you’ve treated yourself to lately! What are your favourite Clarins products? What beauty bits have you treated yourself to recently? How lovely! I do love a high end beauty treat! I love Clarins, and I need to try that eye makeup remover, as I have never found one that removes it properly. I've been a fan of lip perfectors from the start 🙂 & their lip oil in honey (purchased 3 so far) is my fav Clarins product. 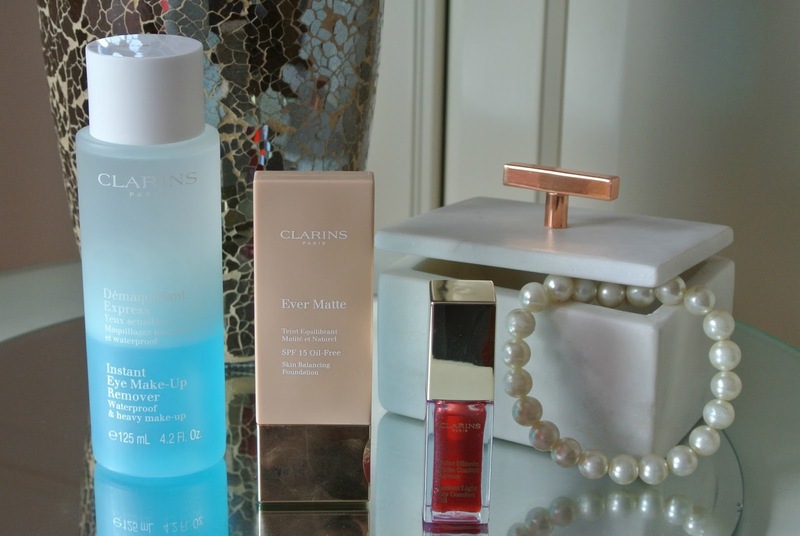 I love Clarins, the cream cleanser and the eye make up remover are just fabulous. i really need to try their lip comfort oil. what the heck, clarins in general! I've never thought about how our skin changes at the beginning of each season, so thanks for the heads up! I've never actually used clarions, obviously I see it all the time but have never thought anymore about it! I ought to try some products out after this! I got 2 new powders from Estée Lauder. Loving them. Your products here look fab. Glad you found an assistant that is good at her job and not pushy, I hate pushy salespeople and normally won't buy from them.